i just saw a pheaton for the first time when i picked up my new gti. those are some nice cars and they have those w motors, just crazy. they are nice! what was the price on it, did you notice? We are no longer producing the Phaeton due to the lack of consumer interest. No one wants to buy an 80 thousand dollar VW. I don't think that there is enough interest in America for a $100k VW. Last year, a 2005 (W12 of course) rolled onto our lot and the sticker was $103k. Guess what. It sat on the lot for about 4 months and then some rich *** came in and bought it. Now we have a problem with the Porsche 997s. Everyone coming in is looking for a Cayman S and the Carreras are pilling up. We had 2 Caymans in inventory yesterday and 17 997s. Also, people are trading in their 996s for the Cayman. The Cayman is a nice car, but is it really nicer than a 911? My Phaeton is a Bentley. I think it's gonna be a keeper. Buy used and enjoy yourself. 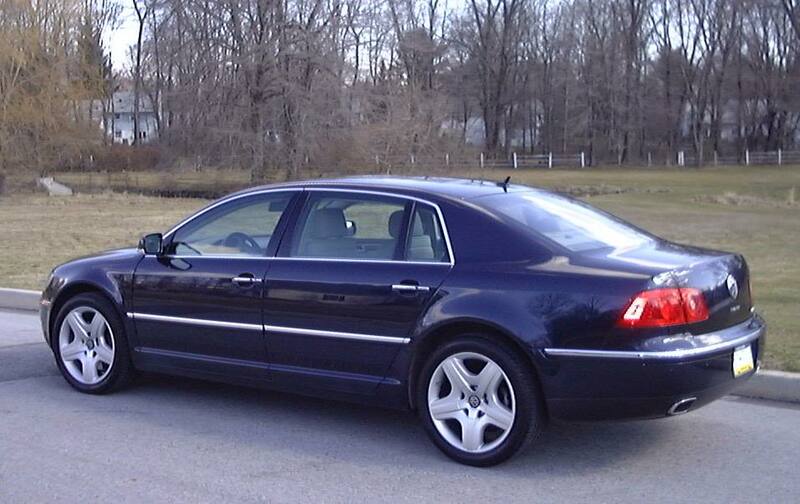 RE: My Phaeton is a Bentley. JSD- Not only that but now porsche is coming out with a four-door sedan. makes me sick just not right, the same with maserati and their four-door. Very good input, my opinion is that the SUV's coming out from overseas manufacturers is of course crap. The new SUV that looks like a sports car..la la la la la...it's crap, I don't like it very much. The Bugati, 1.3MIL!!!! Holy crap, now that's an expensive peice of hardware...there's another 725-BHP car I had seen in Road and Track...totally insane. Well screw paying that much for a car, these super cars are incredible, and dont get me wrong i love em, but i wouldnt buy something for a mil that i keep in a garage and rub with a diaper cause im too scared to take it out. Id love to have one, but i couldnt see myself spending it even if i had it. But now-a-days people are buying a lot of high-end cars for the name not for the car. Porsche could make a pickup truck and these people would buy them out in a week. my god think of the horror. they with too much money on their hands, dont know what to do, oh lets buy another SUV. how about a hummer, cause we may need to go into combat... or the grocery store... its all the same right? dumb, and the hummers arent even real hummers, sorry but id like to burn them all.